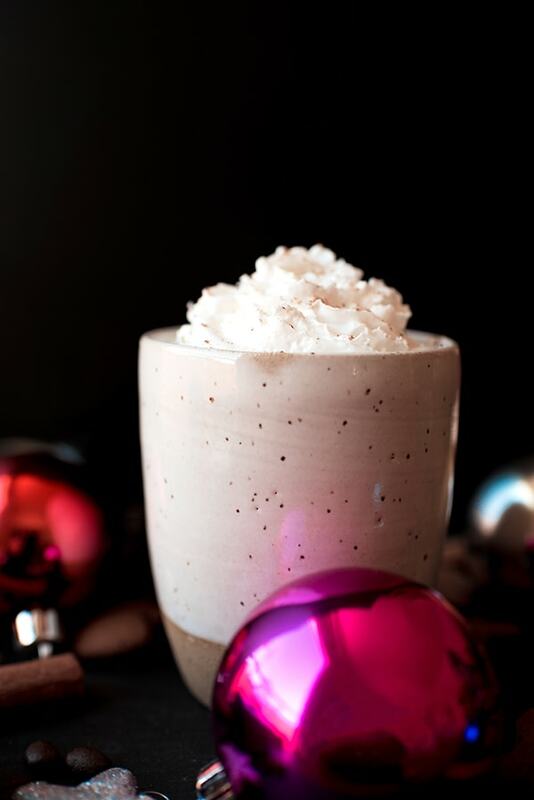 The Gingerbread Latte is the cozy winter latte! 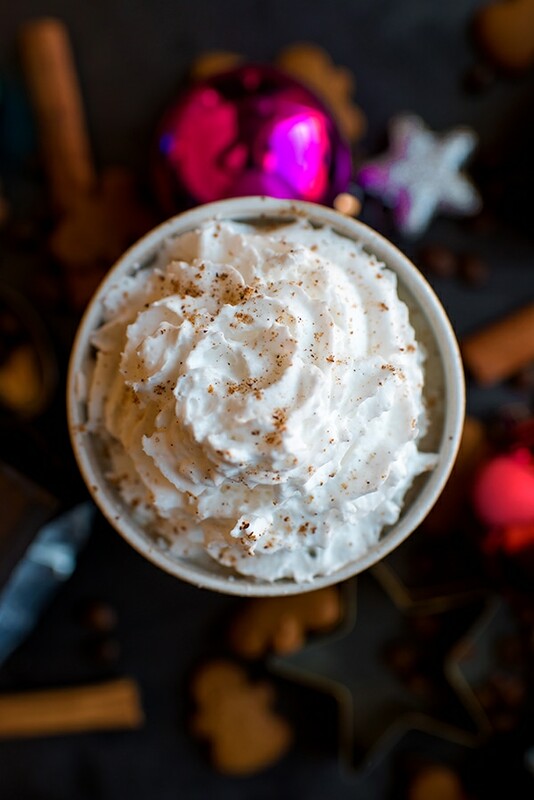 I’ve seen Gingerbread Lattes popping up at coffee shops all over the country, but I’m here to let you know that you can make it at home in no time with this easy recipe. I am all about flavored lattes. But, in the winter, seasonal lattes like the Gingerbread Latte and the Peppermint Mocha Latte really get me making the heart eyes emoji face. But… I also find most flavored lattes to be super sweet… and around here, they’re almost $4 a piece! Or more! 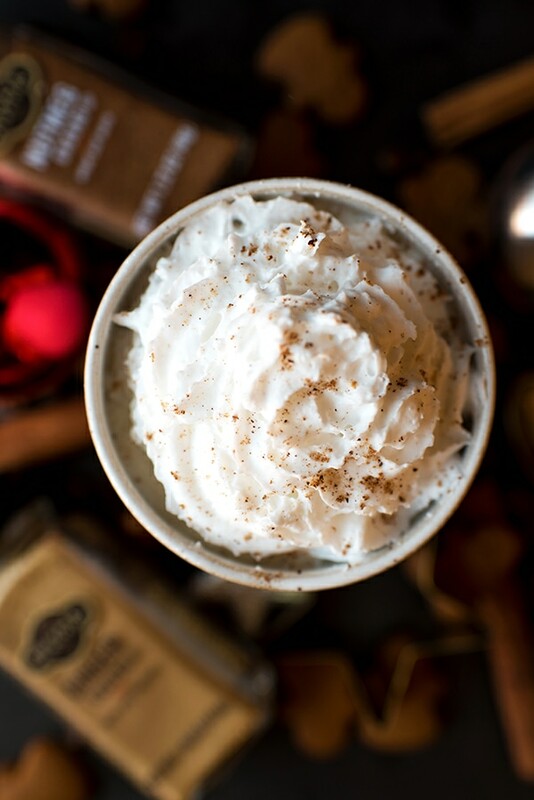 So, if I want to enjoy a Gingerbread Latte just like I want it and for less, I make it at home! If you’re feeling a little intimidated about making a homemade Gingerbread Latte, you’ll be happy to learn that not only are they super simple to make, you can find all the ingredients at your grocery! I picked up all of the ingredients for this latte recipe at the Ralphs. (Ralphs is part of Kroger, but if you don’t live where there are Ralphs, click here to find the Kroger store nearest you.) So, when the weather outside is frightful, you won’t have to hunt all over town for that random ingredient. In fact, this goes for most flavored lattes. If you like this recipe, let me know in the comments what your favorite flavored latte is. If I get enough comments, I might start adding more homemade latte recipes to the blog! I’m going to let you in on a little secret about the way I make a Gingerbread Latte: I don’t use syrup. Instead, I simply infuse the milk with gingerbread spices. This allows to also adjust the sweetness to your liking and I found it helps the gingerbread flavor stand out more. I recommend starting with two teaspoons of sugar per serving. Too sweet? Go down a teaspoon next time or add more coffee. Not sweet enough? Add another teaspoon! To make your Gingerbread Latte, pour the milk into a small saucepan on the stove. Add ground ginger a pinch of cinnamon, then the heat up to medium-high and stir until the mixture is just about boiling. Remove it from the stove, place the lid on top, and put it in the fridge for at least 30 minutes. When you’re ready for your latte, prep two shots of espresso and pour this into your mug. Then, froth the milk using a standalone frother or a fancy one attached to an espresso machine. If you don’t have either, reheating it on the stove is ok. Then, pour the hot milk on top of the espresso. Bonus points if you can make latte art. Mine usually resembles “abstract swirl.” Top with whipped cream and a sprinkle of nutmeg if desired. 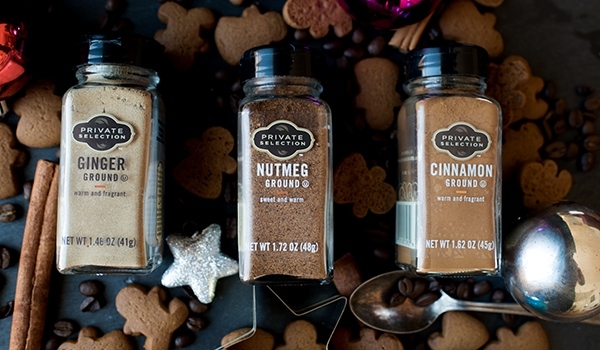 Make your own gingerbread latte at home with easy-to-find ingredients! Place milk, ginger, cinnamon, and sugar in small saucepan. Heat, stirring often, until mixture is almost boiling. Remove from heat and place lid on top. Place in fridge for at least 30 minutes. Prep two shots of espresso and pour into mug. Froth milk using preferred method or reheat on stove until warm. Pour warm milk on top of espresso. Top with whipped cream and sprinkle of nutmeg. Enjoy! This post is sponsored by Kroger, but all text and opinions are my own. Thank you for supporting the brands that keep Let’s Eat Cake going! Perfect for cozying up to the fire place! This sounds like the ultimate holiday drink! I love anything gingerbread so this sounds delicious! Love the flavor combinations in the Latte. It is the perfect drink for these cold mornings. I am looking forward to making this. Great combination of spices and beautiful photography. Makes me really want to try this gingerbread latte! Becca, this sounds sooo delicious…and I’m in love with that ceramic mug! Yum…thanks for sharing!